Have you ever been communicating with a friend via semaphore flags, trying to describe the door handle of a car, but then collapsed from exhaustion trying to describe the handle? Of course you have. We all have. 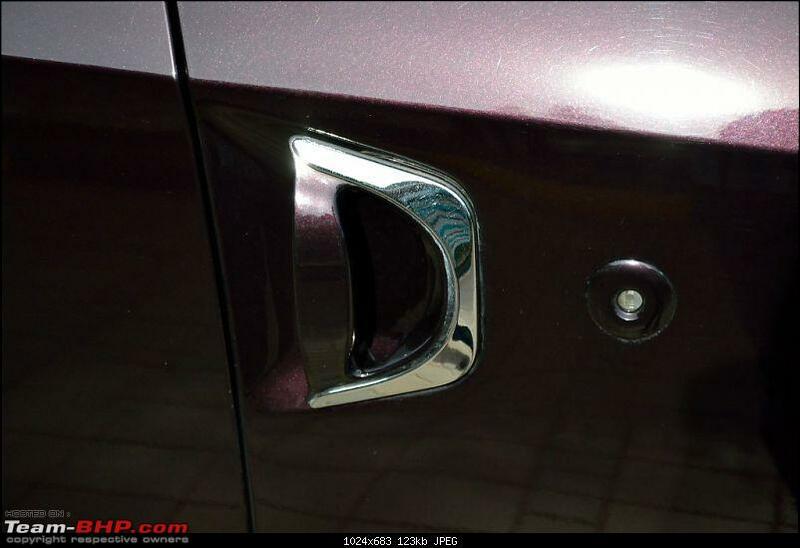 Luckily, this is another problem I’ve solved, thanks to this definitive taxonomy of car door handles. You’re welcome. Yes, for the first time in human history, all of the varied and many designs of exterior car door handles have been analyzed and categorized into 13 distinct categories. 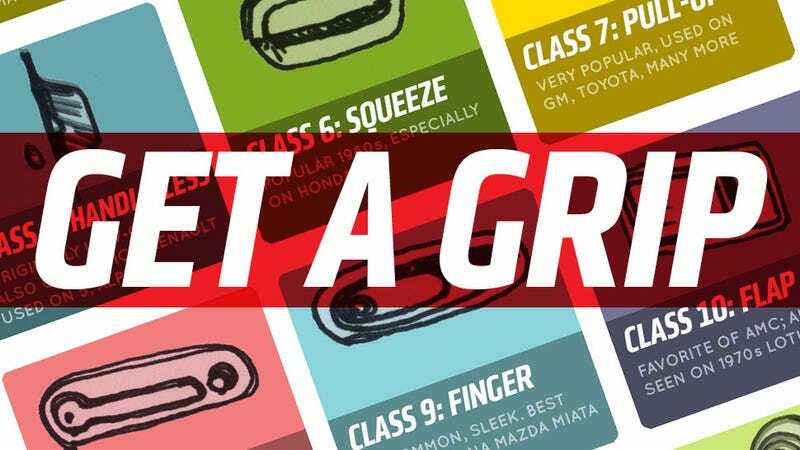 Instead of relying on tedious, vague, and often confusing verbal descriptions, you can now talk to your colleagues and friends about how much you miss the Class 6 handles on your old Civic, or how you really want to find a car with an elegant set of Class 9s, or how you think that the Mahindra XUV 500's paw-like door handles are really just a more stylized, open-centered variant of the AMC favorite, Class 10. Think how much better your life is about to become. Now, it’s possible I’ve missed some categories, but I’m pretty sure these 13 classes cover almost all types. I know that sometimes Class 7 pull-ups can get rotated 90° and may be mounted on a B or C pillar, but I don’t think rotation is enough to define a new class. That said, I’m always open to hearing your suggestions or arguments about this taxonomy. A few related observations: I think the Citroën 2CV may have been the last mass-market car to use Class 1 handles, since it was made all the way up until 1990. I’m also unsure if anyone other than Honda used the Class 6 squeeze handles – in those the outer handle remains stationary while an inner, full-width trigger-like part is squeezed. And, did anyone outside of the VW group use Class 4 “trigger” handles? Here’s a handy chart for you to print and hang up over your bed. Enjoy.